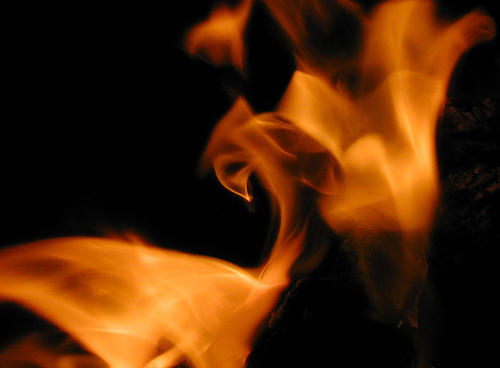 Do you want your blog to catch fire? Then it’s critical to know your blog’s audience or it’ll be difficult to create an inviting environment with great content that resonates with readers, meets their needs and keeps them coming back for more. Before you say that you only write when you’re inspired, realize that a strong, growing readership will inspire you to write your best stuff. To accomplish this, you must understand your readers as if they were life-long friends. The better you target your audience, the easier it is to build a following. Mystery book buyers were women in their forties. These customers had their favorite writers they followed. Since mysteries are highly consumable books (after a certain point, you must finish the book to find out what happens) these buyers were voracious readers who also bought lots of bestselling novels. Science fiction book buyers were men in their mid-thirties to early forties who worked computer related fields. These customers were collectors and bought lots of non-book merchandise related to science fiction, graphic novels and fantasy. The visual presentation of these books and merchandise was important. How do you get to know your blog readers? Knowing your customers is at the center of marketing. Here are ten questions to help you better understand your blog’s readers to enable you to create posts that attract them and make your blog catch fire. Are your blog readers’ needs business or personal? This has a big impact on the both the type of information you provide and how you present it. The branding, colors, design and voice of your blog should match your readers’ expectations. Bubblegum pink and lime green don’t work for a professional blog. What are your blog readers’ demographics? Are they male or female? How old are they? Where do they live? Are they familiar with your niche’s lingo? Is English their first language? Regardless, your blog should deliver grammatically correct English. If necessary, get a translator or a copywriter to help you. At a minimum, have another person review your posts to catch errors, especially the kind that spell checkers can miss. What are your blog readers’ interests? These factors can sway readers’ choices. Is your blog related to their personal goals, finances, career, family or other hobbies? Lifestyle choices can influence the type and format of information visitors seek on your blog. What is your blog readers’ knowledge level? This refers to your blog’s positioning and presentation. Do your readers already know your niche? Are they beginners or sophisticated professionals? This has an impact on your blogs’ voice, choice of topics and level of content. For example, if you blog about the stock market, are you Seeking Alpha or The Motley Fool? What blog topics resonate with your audience? To guide your posts to the topics your readers like and flock to, understand whether they like specific subjects, type of format, content type or other factors. For example, do they like the latest news versus how to lists. At a minimum, check pageviews. Also monitor tweets, Facebook likes and comments as indicators of popularity. What type of device does your audience use to consume blog content? Among the major options are desktop computer, mobile and tablet (such as iPads and Kindles). Can your blog content be consumed across these devices? Also consider various Internet browsers. This can influence how you format your content to ensure that it’s readable across all devices and browsers. In what format do your followers read your blog content? Do readers visit your blog to read posts, do they read it in RSS feeds or email, or do they find your content through a Facebook page or other social media format? This is useful to consider for distributing your blog content and promoting it. How does your blog audience consume your content? Do they sit and focus on reading your blog on a computer or do they snack on blog posts between or as part of other activities? If they’re multi-tasking, your posts need to be easy-to-scan or have other content formats to grab readers’ attention. When does your audience read your content? Do they only read it at work or are they interested in your content every day? What time in the day do they check your content? Is it something they read to start their day while they drink their coffee or do they check your site in the evening while they’re watching television? This influences when you publish new content and how you promote your content. Check for cyclical patterns. Are some days better than others regardless of the type of content published? How socially engaged is your blog audience? Bear in mind most readers will lurk. Are your readers active on social media platforms? If so, which ones and how does this affect your blog? Do they have a following that pays attention to information they share? Do you have an active social media tribe that supports your blog? As you can see there are a variety of factors that help you understand your blog readers better so you can create the targeted content they want. While you may not be able to gather all of this information at one time, it’s important to continually add to your knowledge of your readers through research, testing and observing their behavior. Are there any other characteristics that you’d add to this list? If so, what are they? Tags Blog, blog audience, blog readers. Bookmark the permalink. ← What Do We Mean When We Say Marketing? I think the trick to satisfying different audiences is to offer highly satisfying articles for each, and use an editorial calendar to make sure you’re not over-weighting one group over the other (assuming all equally important). The worst is trying to satisfy all, whereby you satisfy none. Alternatively, you can follow 80/20 rule and start by honing in on the most important group for your campaign, making sure you are proficient with that profile first. Always find your posts relevant Heidi, identifying and zeroing in on exactly who the audience seems a foundational necessity. From a marketing perspective I do find it difficult when the consumers of a single product or service are an amalgamation of three completely different buyers. Do you believe it possible to satisfy such diverse audience with a single blog?